Home computers and printers are excellent tools for arranging and printing documents that are sufficient for personal or family use. These devices are not capable of providing professional results compared to equipment used in the printing industry. Our Winnetka copy shop invests in modern printing and software technology to create high-resolution printed documents and promotional items that are ideal for marketing and advertising use. Our printing capability exceeds industry standards and can provide you with excellent reproduced documents or original prints that keep you looking professional. The ability to print and produce excellent documents and promotional items is not only due to our investment in equipment. Our knowledge of the printing industry and graphics specifications is crucial to providing high quality printing when you need it the most. We provide what you expect from our Winnetka copy shop. 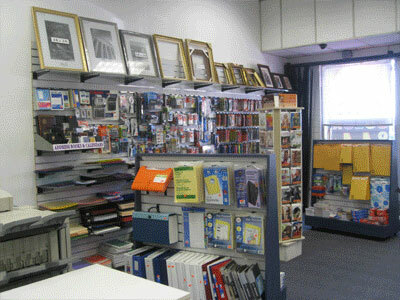 Our Copy Shop in Winnetka, prints professional products for all businesses and industries that need to present data and information in a unique and professional manner. Our custom printing allows us to tailor each specific printing request to produce full color or black and white reproductions to match the outcome that you need. Why use a template when you can have something completely original? We make it easy to complete all of your printing projects. It is simple to place your order online, in person or by phone. You choose the method that works best for you and your deadline. We can easily ship your order upon completion to your requested destination. Our Winnetka Copy Shop is your trusted and reliable printing partner. Call (818) 775-0255 to place an order with our copy shop Winnetka center. The average person may have difficulties distinguishing between office and professional print qualities, but professionals do not. Industry standard printing is used in both professional and private industries to provide the highest quality of print resolution and paper types. Printing products that are professional standard are used to attract new customers and clients to new and existing businesses. Our Winnetka printing shop produces professional printing quality. The modern digital printers that are in use today can produce exceptional results compared to standard silkscreen printing or offset printing of the past. It is not enough to simply own a digital printer to receive high quality printed results. Our Winnetka printing shopknows about high-resolution graphics, bleed lines and trim sizes to produce results that clients and customers expect. Your printed result is a combination of experience and the quality of your graphics. Our graphic design team can thoroughly examine your graphic files to be sure that they meet our high standards of quality before a print job will be completed. This helps our printing shop in Winnetka provide the best quality printing to you and helps to keep our prices competitive in the printing industry. Our investments in modern technology have allowed us to stay ahead of the competition in the printing industry. Our wide assortment of personal and business products are designed to meet the needs of private and professional clients that need high-resolution prints to display a professional image. Your prints and copies can be ordered online, by phone, or when visiting our printing shop Winnetka center and will be promptly shipped to your location. You can call us at (818) 775-0255 to get more information if you live in the city of Winnetka, CA in zip codes 91306 and 91396.